Just a note on the price, I bought two boxes of Tazo Tea while they were on sale for 2 boxes for $5.00. Regular price is usually higher ($4.99-6.99/box, depending on retailer). The box itself is cardboard, I like recyclable packaging. The tea bags come individually packaged in paper and the tea bags themselves feel like they’re biodegradable. 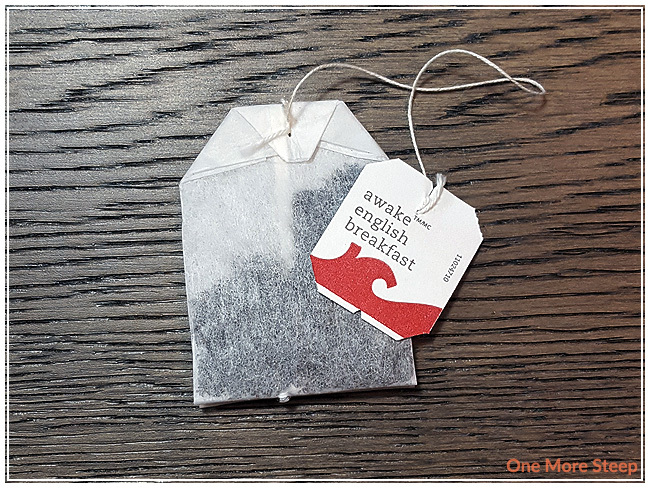 Awake English Breakfast is made up of “a blend of black teas”. 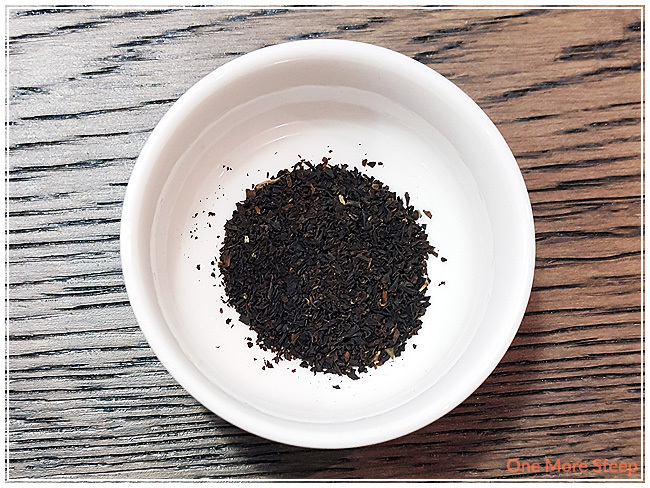 There’s a malty aroma to the black tea that reminds me a lot of Assam tea, so it wouldn’t surprise me of one of the black teas in this blend is Assam. 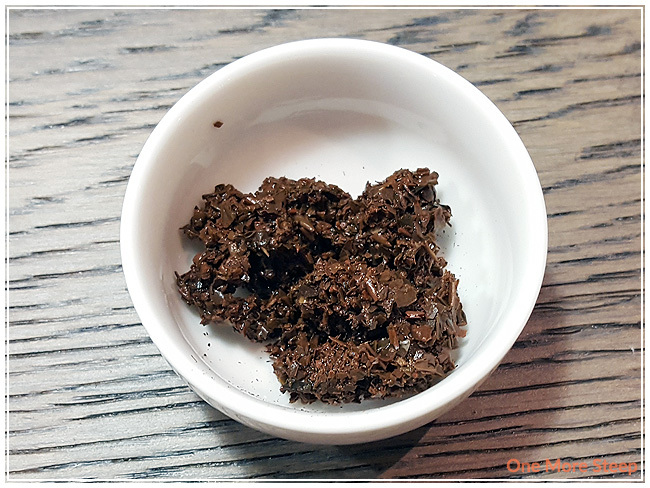 I did rip open the tea bag to see what it looked like inside, I was not surprised that the tea leaves inside of the tea bag were tiny, definitely not the whole leaf tea that I’ve been getting used to. I mostly bought the bagged tea for the convenience factor that tea bags have when it comes to having tea on the go (where I work, I don’t have a desk and I can’t have open mugs). Tazo Tea recommends steeping Awake English Breakfast in 100°C (212°F) water for 5 minutes. I followed the steeping directions. Awake English Breakfast steeps to a deep orange, it’s got a great smell to it that reminds me of other breakfast teas. I think 5 minutes are far too long. I ended up trying again (and again) with other tea bags and found that 3 minutes was a good amount of time. 5 minutes – I wound up with a very astringent and bitter cup of tea. Less than 3 minutes and it was just very weak. 3 minutes was a good length of steeping time because I wound up with a strong cup of tea with a very strong malty flavour, but minimal astringency and no bitterness. 5 minutes is definitely far too long for this tea (perhaps if it was whole leaf tea, it would be a different story). Awake English Breakfast was good on its own, but also good with some honey and evaporated milk. It helped tone down what little astringency there was with the 3 minute steep. Awake English Breakfast is a one steep wonder, I found that a second steep resulted in a very watery cup of tea. 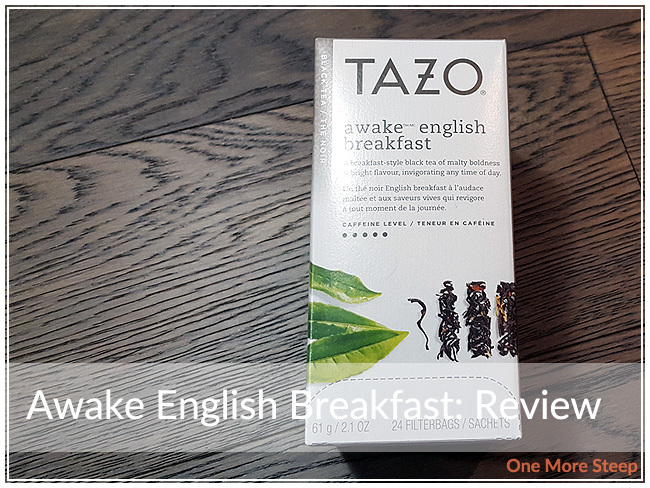 I thought that Tazo Tea’s Awake English Breakfast was just okay. As far as breakfast teas go, Awake English Breakfast is okay. I don’t recommend their recommended steep time (5 minutes is just far too long!) and I wouldn’t buy at full retail price ($0.30/sachet vs. $0.10/sachet). It’s very convenient to have tea prepackaged into tea bags, which is what I typically have when I’m at work (each to steep and easy to discard). If you can find it on sale, I would recommend snagging some Awake English Breakfast for some black tea on the go. 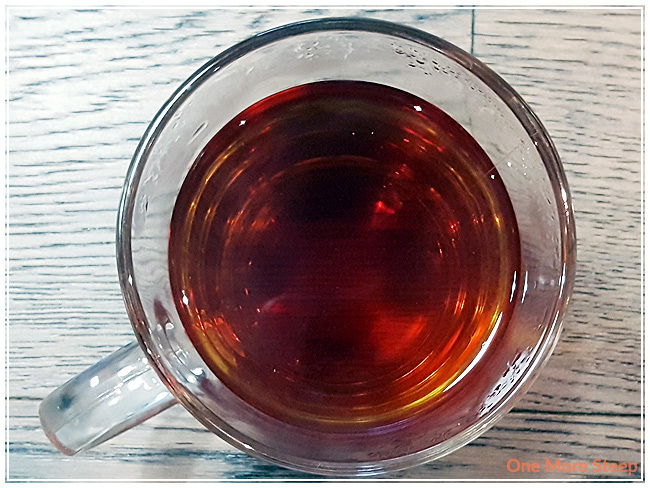 For the love of tea, don’t over steep this one and pull the tea bag out at the 3 minute mark – life is too short for a bad cup of tea.